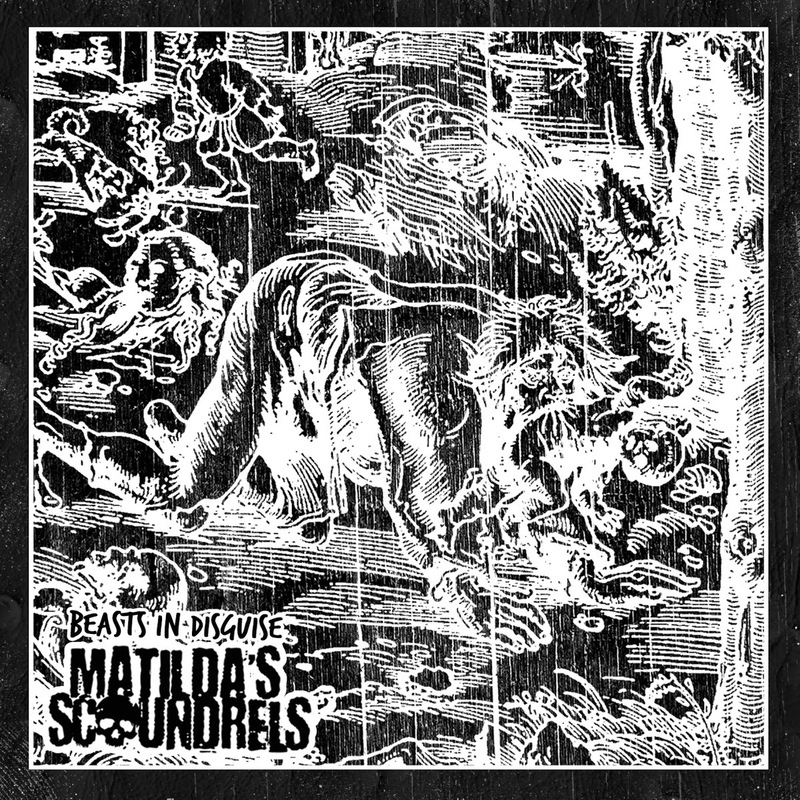 FREE DOWNLOAD - MATILDA'S SCOUNDRELS "Beasts in Disguise"
Matilda's Scoundrels are "A bunch of six drunken folk punks from the smugglers coast of mighty Hastings." They have just released their "Beasts in Disguise" 4 track EP that can be downloaded for free. You can also buy the EP together with a selection of patches, badges and stickers of their choosing. Whilst patch, badge and sticker stocks last. All orders will be dispatch on Saturdays. Price: 2,00 GBP. All the tracks have been added to the Celtic-Folk-Punk radio rotation list.